Life with Pat: we all NEED this, and a download! 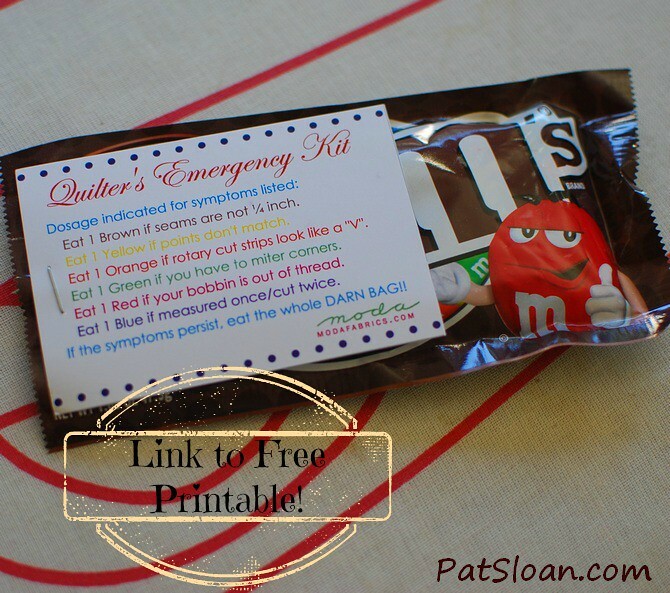 Yes.. we've all been there.. where we need a Quilter's Emergency kit! The clever people at Moda have got it right.. and I must say I had a day recently where I ate the WHOLE BAG.. Can you relate? CLICK HERE to download, and they have a lot more fun stuff on that page to explore! Barcelona Spain! 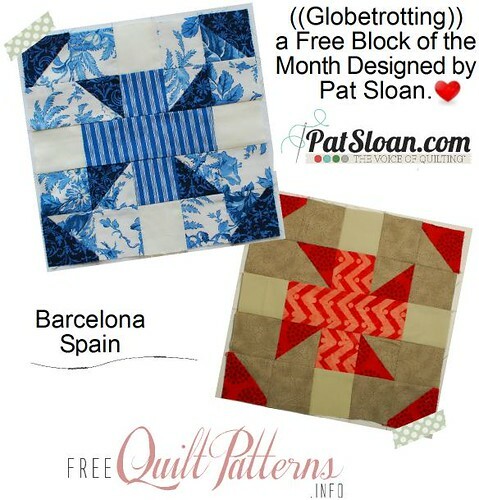 I have had a BLAST picking 9 cities to share with you in my Free Globetrotting Block of the Month. Some are cities I've live in or visited. And many are the cities I WANT to visit, Like Barcelona! 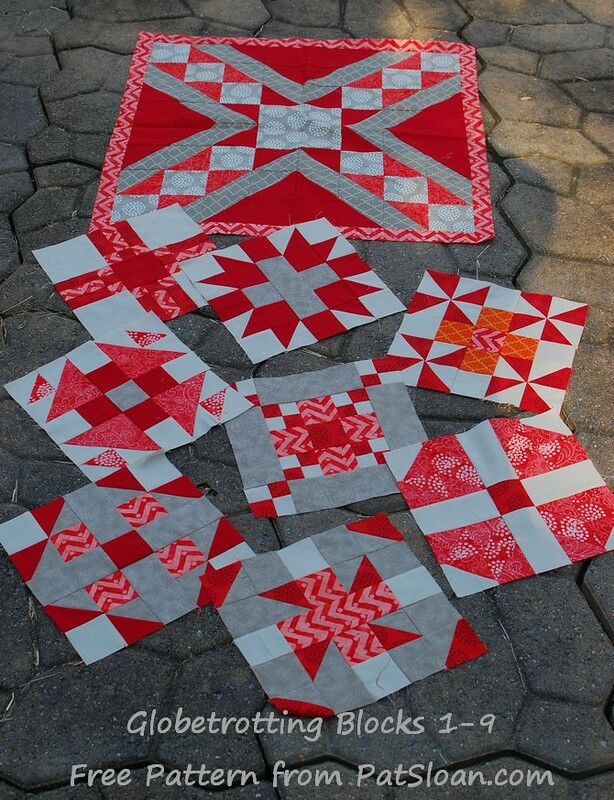 Sept is the time to get all these blocks finished. In October I have the setting and it's a bit more than one block. That gives you Oct and Nov to have your top done and quilted.. oh.. did I say QUILTED? Read on.. you will want to.. trust me. LOVELY right? I'm SO excited to set these for next month.. it's going to be great to finish up for the year! What do you think of them on the Plaza!! My super best friend in the whole world, the girl I'd pick as my sister, is Brenda... she went to Barcelona and shared her photos with me.. I'm so happy she got go! She is a traveler, and very adventurous.. the one you want with you to figure out the bus schedule in Spanish! And a few more.. the beach!! 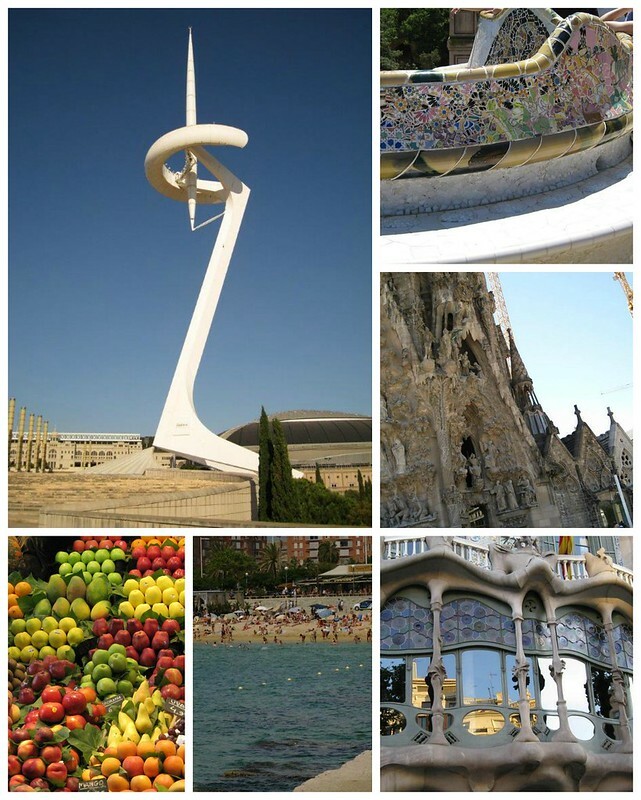 A perfect city.. Art, Beach, Food! Looks BEAUTIFUL right? When you go over to pick up the pattern you'll see more photos that Brenda took. Super you read this far! I have a CHALLENGE! By the end of the year I'd like to see your quilt top DONE. If you finish the top, post a photo at the flickr group, or email it to me... you will be entered to win a bundle of my newest fabric line! 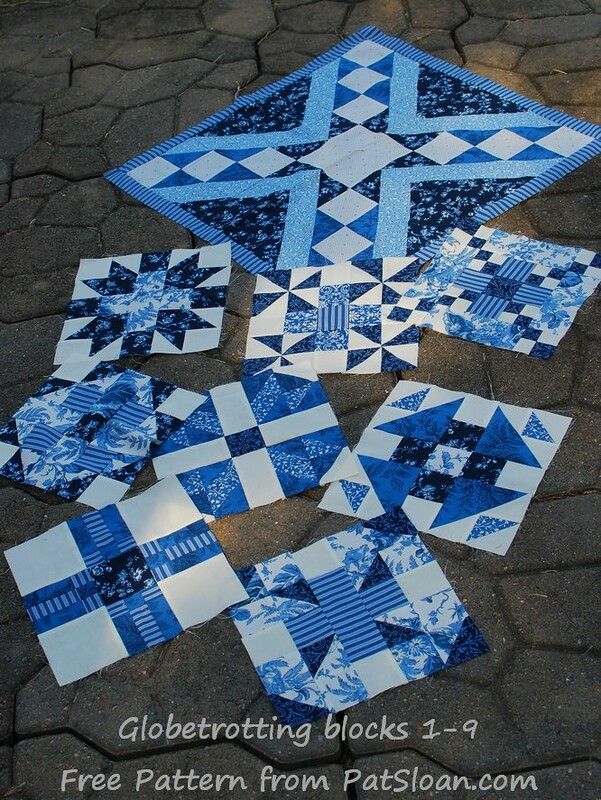 AND .. if you have the quilt QUILTED... then I'll enter your name a bunch of time.. wink! CLICK HERE to flickr to Load your photos.. it's where I'll pick the final winner from! Ready.. Set.. Get those blocks up to date! I LOVE when my friends select my fabric to use in the books they write, it's SO darn exciting to see how they use the fabric! 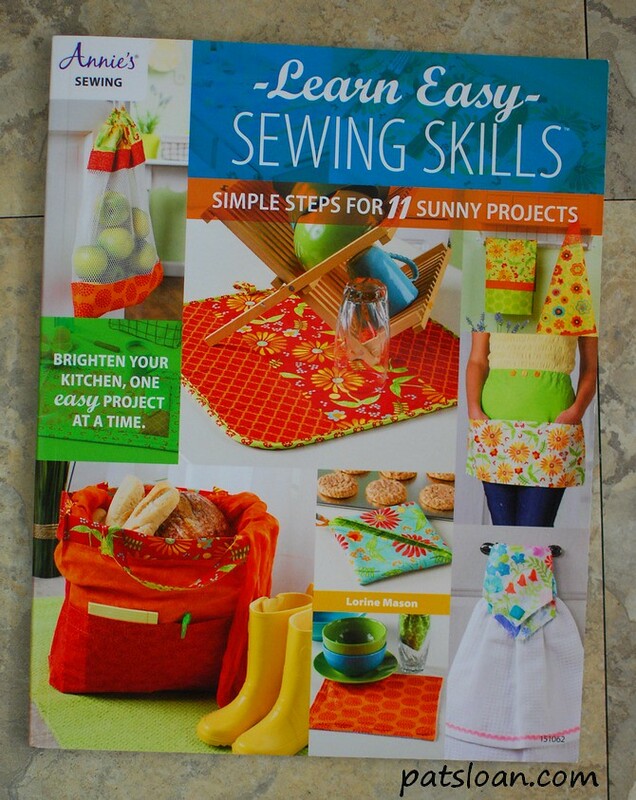 My good friend Lorine Mason wrote this adorable book full of easy, fun and quick kitchen projects. 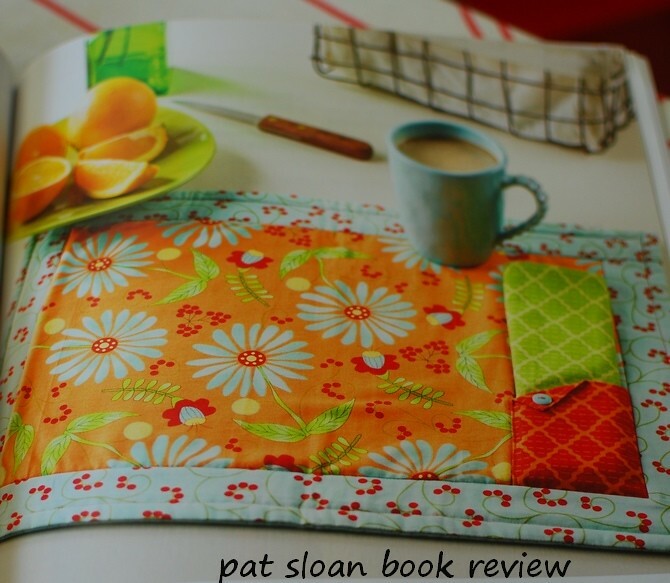 She used a lot of my fabric and the projects are so well written, great diagrams, super tips AND yummy photography.. yeah Lorine! 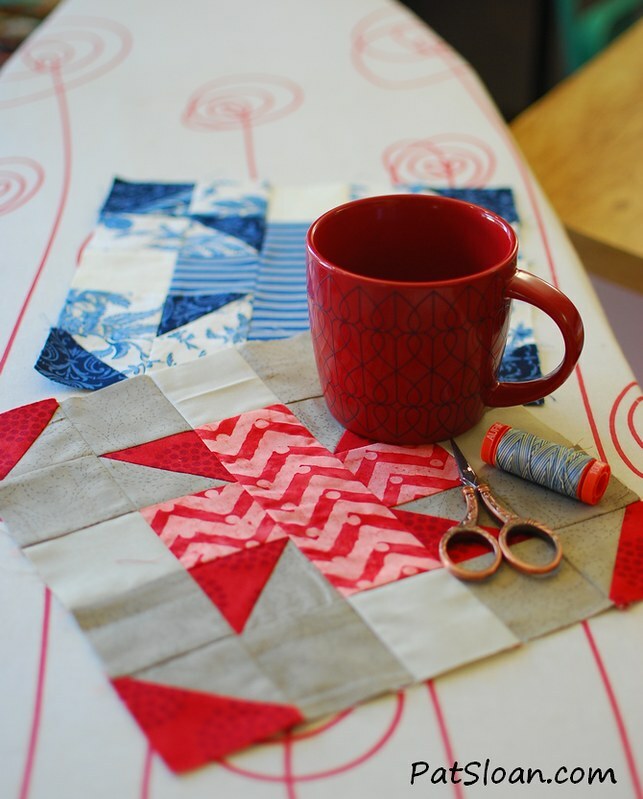 This potholder is awesome, can't you see making a set of these as a housewarming gift, a gift for your host when invited to dinner, or maybe make a set for your child's teacher for Christmas? They look so professional and are easy to do! 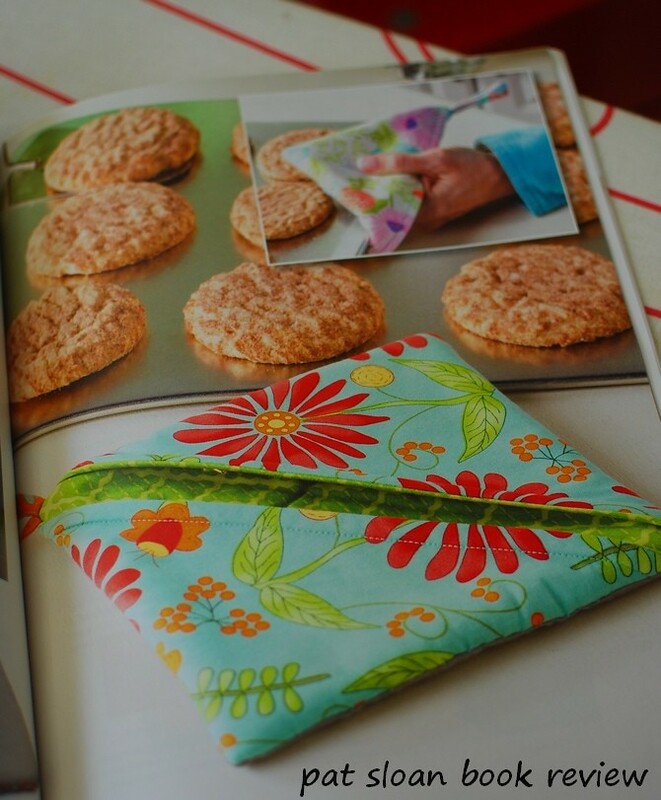 Lorine was super clever with the place-mats, creating this napkin holder! Now i NEVER thought of using fabric for shelf lining! How pretty is this? 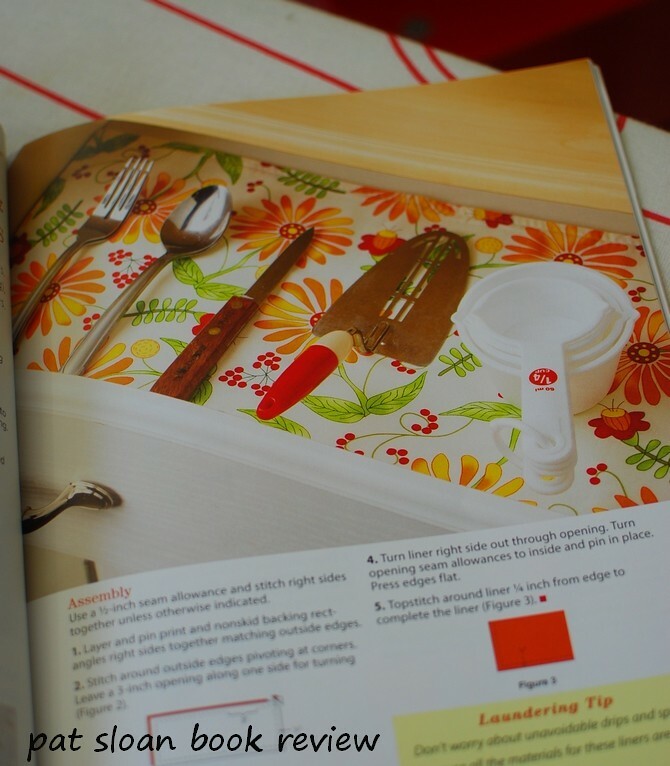 And don't we ALL have some really fun fabric we'd like to see when we open that drawer instead of the dull boring base? Yes I thought you'd agree this is brilliant! Yes, yes and yes! I've never worked with mesh, but Lorine's directions make it so easy! 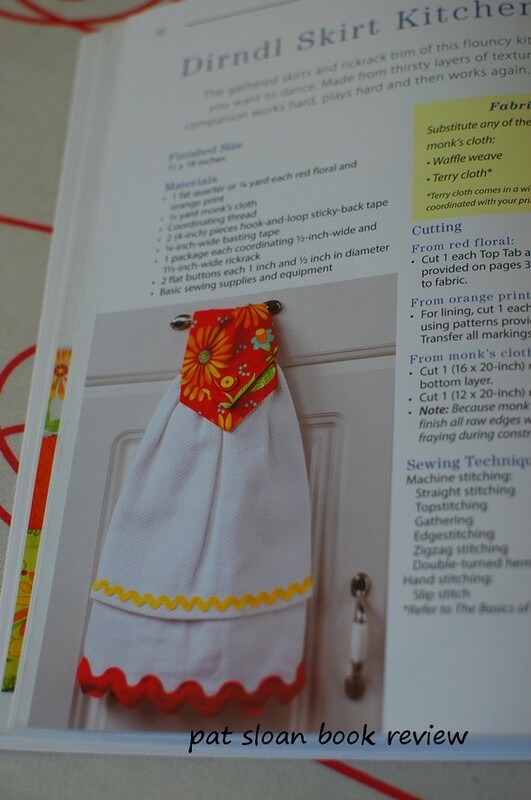 And one of my favorite projects in the book is the dirndl tea-towel. 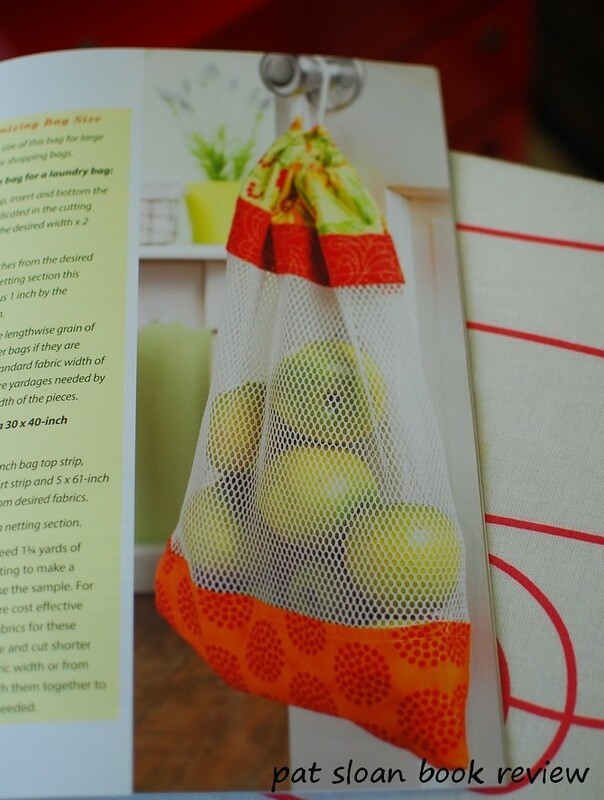 Rick rack and adorable fabric makes cute, quick, useful, and use-able towels for the kitchen! What is YOUR favorite project to make for the kitchen? You can pick up a copy at Amazon .. use my link!